Absolute Marble and Granite is your leading seller who provides the best range of Quartz counter tops for kitchen and bathrooms surfaces in the Fort Lauderdale, FL area. Decide on your quartz shade today and communicate with us for a free estimate! Quartz surfacing products has a wide variety of uses at your residence or business such as counter surfaces, vanities, fireplace surrounds, wet bars, bathrooms, etc. Contact us today to get your zero cost quotation. 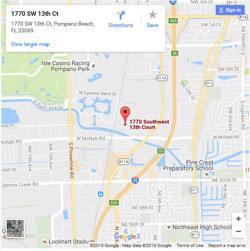 Located in The Pompano Beach, Florida and serving the greater Broward County area, Absolute Marble and Granite is among the best quartz countertops manufacturing businesses. Using natural stone slabs, we hand-cut our quartz stone slabs precisely to the size of your kitchen or bathroom countertops, or for any other spaces in your house. We supply beautiful, natural stone that can last for years. To see some of our past projects, check out our gallery. Sturdier and more robust than granite, quartz is widely viewed as the optimal natural stone surface for active kitchen areas. This material is one of the hardest and most durable in the world, and it really is stain-and heat-resistant. Counter surfaces made from this natural stone will also be very easy to take care of. As a result of stone’s non-porous characteristics, our countertops are also extremely resistant to bacteria and mold infection. Due to the fact quartz countertops are manufactured right in South Florida, we at Absolute can offer a number of color possibilities, including popular. We will come to your residence or business for a totally free, absolutely no obligation estimation. Because of this we will take all of the crucial dimensions, go over different quartz color selection options, and give a highly accurate cost estimation. If you need silestone fabricators service, we can help you. Call us today for more information.